So the visitors land on your travel website, search for flights and accommodation and then randomly leave without completing the booking — almost on a whim. If your website has also been seeing a similar trend, then you are not alone. 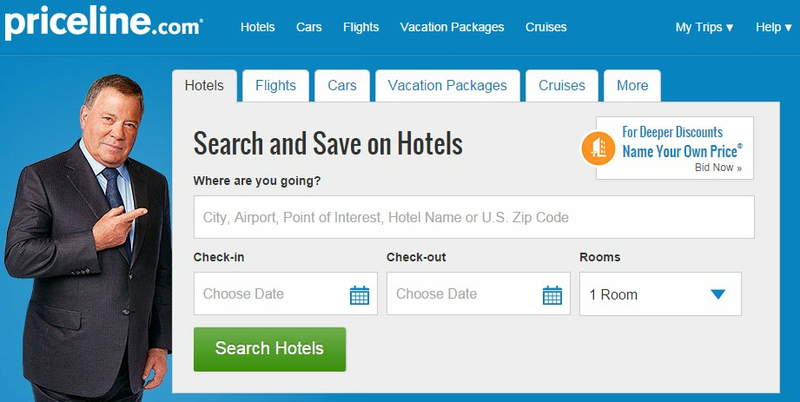 On an average, more than 95% traffic coming on hotel, airline and tour packages websites leave without completing the purchase process. Why? Because travel eCommerce is one of the trickiest online businesses — thanks to lengthy marketing funnels, complex search parameters, complicated checkout processes, multiple forms and massive personalization. The average conversion rate (% of website visitors turning into customers) of travel websites is a dismal 4% — far below the 10% conversion rate of financial and media firms. But you can always improve this figure by optimizing your website so that more visitors turn to customers. Here are 14 tips you can implement on your website to make more visitors convert — complete the transaction. 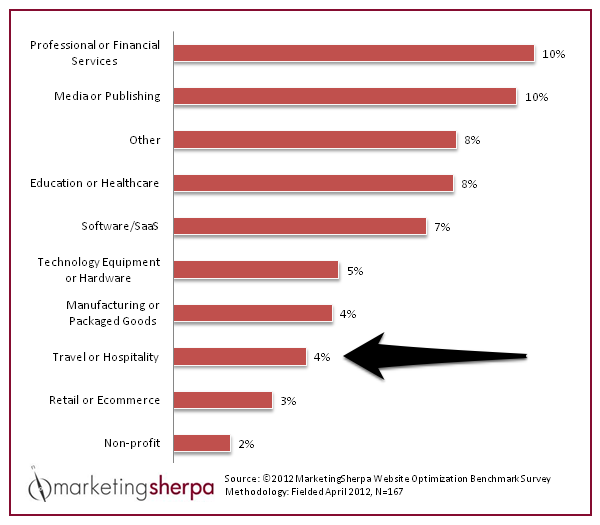 For no other industry is the search function as critical as for travel websites. In the case of eCommerce stores, visitors operate in the ‘browsing and finding’ mode. They may or may not use a site search. But when it comes to travel sites, the entire premise of the prospective transaction is based on site search. Only when a visitor selects a location and a date, will he find relevant results from which he/she will make a choice. Not only should your site search be extremely fast and accurate, it should be as intuitive as possible. There are four key search parameters — date, location, budget and number of people. 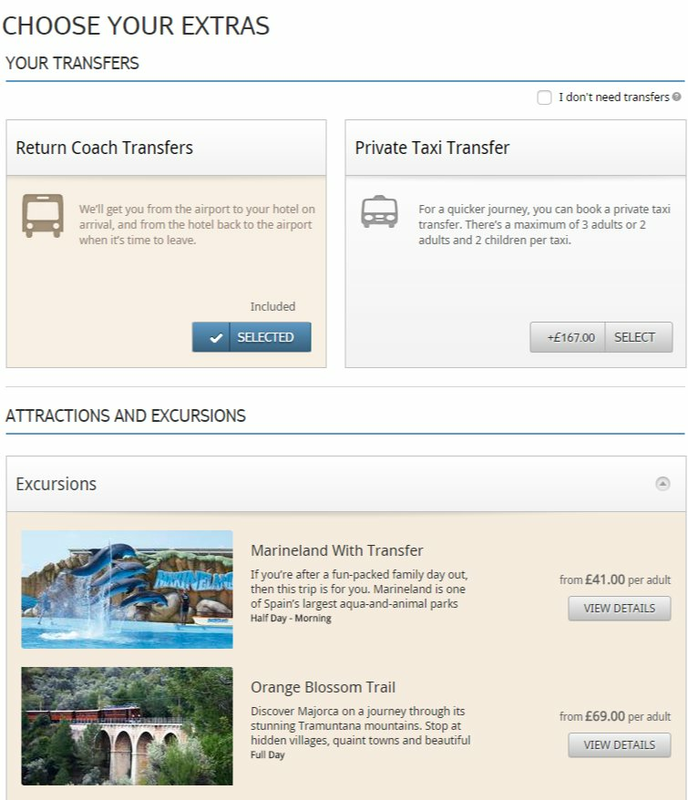 You can use drop-down menus for calendar and locations, and pre-define different budget categories for visitors to choose from. You can also save their booking history and populate past search parameters for convenience. The result page that appears after a visitor inputs his search combination can overwhelm a visitor into abandonment if the information is presented in a haphazard manner. It’s important that the visitor gets all the needed information without having to leave the funnel. 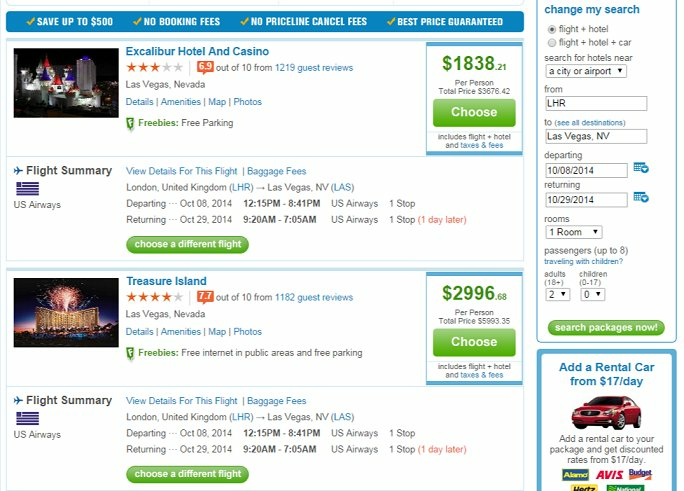 The flight and hotel options should be displayed in a clean layout with pricing being highlighted. An editable search bar should also be prominently displayed so that the visitor can modify the search results without hitting the back button. The booking process is extremely complex with many steps in the booking funnel – hotel booking, flight booking, amenities, cab pick and drop. 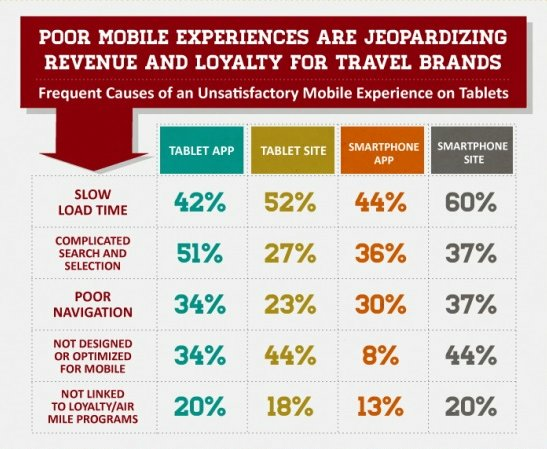 Complex booking experiences make travelers switch to higher cost offline channels. In a survey conducted among US passengers, it was found that The future of Airline Distribution report at least 18% of travelers don’t find online planning and booking easy. It’s extremely difficult to cut down on the amount of information that must be collected during the booking process. But dividing the process into identifiable steps makes customers’ life much easier. These identifiable steps are like road signs — the customer will know what lies ahead after they complete that step. Would they want to add on travel insurance as a package deal? Or perhaps, get flight seats with extra legroom at a little extra cost? Or may be extend the trip by three days to get a steal of a deal? The options for add-ons, cross-sells and upsells are immense in the online travel business — extra baggage, hotel upgrades, meals — all are additional services that could be clubbed with the booking to increase the average order value. According to a “Hotel Amenities Travelers Can and Can’t Do Without ” TripAdvisor survey, free Wi-Fi is the most requested hotel amenity with 89% of travelers wanting it, followed by free parking and breakfast. However, you need to take care of two things when it comes to upselling and cross-selling. First: Don’t offer an upsell option when the visitor is at the checkout. You don’t tell the traveler what they don’t have and confuse them when they are about to close the deal. Secondly, don’t auto-check the add-ons as the customer might not notice them at that point but would get mighty pissed when they see the inflated cost at the checkout. The incredible thing about online travel is that every booking is personalized to some extend. One traveler might always go for free Wi-fi as a criterion for hotel booking while another might always choose flights with 100% on-time record. Using a personalization tool to remember travelers’ booking history will help you make relevant offers the next time they come to your website. You could also track their in-session activity to understand their behavior and booking habits. When you display the search results, you could also put badges on thumbnails to highlight a particular feature the traveler requested the last time. It’s a great way to catch their attention and offer relevant information really fast. This is the second part of the personalization process. If a traveler has booked with you a couple of times, that’s good enough information for you to offer trip recommendations. If there is a lot of consistency in their booking behavior — sea-facing hotels, family trips, spa and recreational activities — you can assume he/she is a leisure traveler and accordingly recommend similar travel experiences. 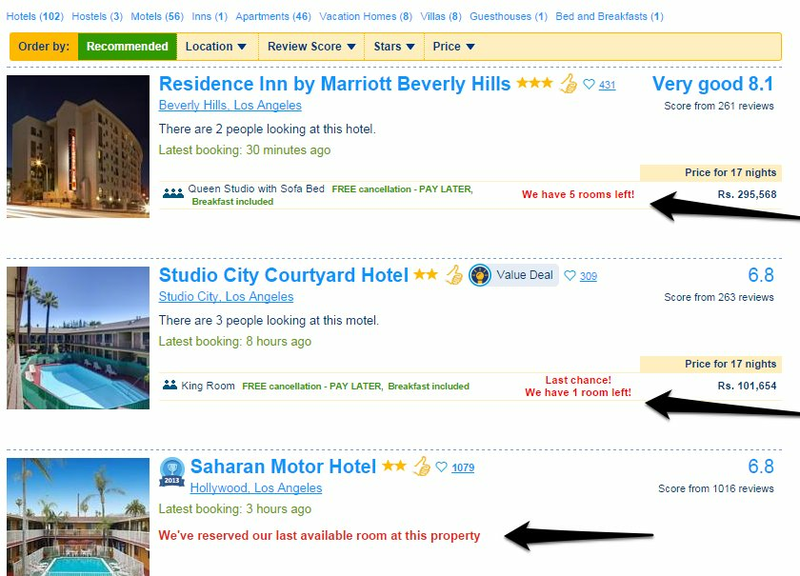 A global hotel chain ran an A/B test in which it replaced its search widget with a recommendations widget on its search results page. This increased the hotel’s revenue by $658,000. Any information that is vague and open to reader’s interpretation is a potential conversion barrier. The multitude steps involved in the booking process are anyways a hindrance to smooth web experience. Review all the information throughout the funnel for ambiguities. 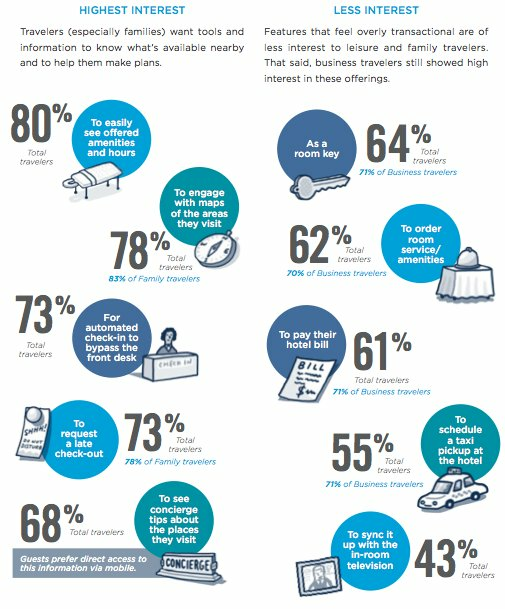 Here’s a look at what all information leisure travelers are interested in at the time of planning a holiday. Last-minute queries on mobile device for hotels and accommodations went up by 79% during January 2012 compared to 2011. 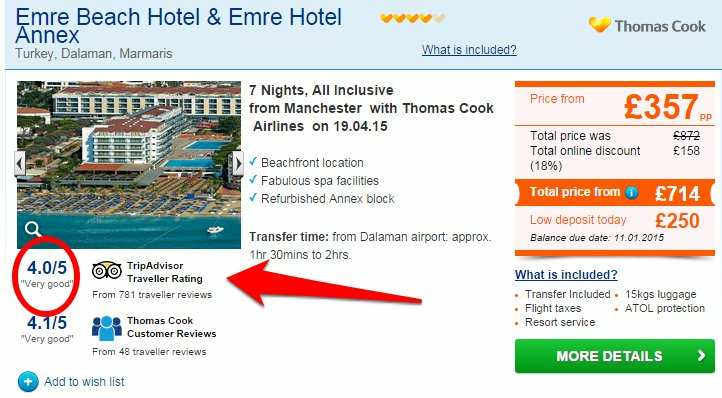 Tap into this most obvious market segment by prominently displaying a ‘Express booking’ button on your homepage. The world of online travel is an unfair one. Google analysis shows that an average travel shopper visits 22 websites (Yessir, not a typo) in multiple shopping sessions before finally booking a trip. Planning a holiday is a thoughtful and complicated process with the visitor going on a ‘Control + W’ spree at the slightest of whims and inconveniences. You have to get their attention really fast and make them act right away in order to score transactions. One of the ways to do that is by using the Urgency principle — one of the six persuasive psychology principles mentioned in Robert Cialdini’s book ‘Influence’. There are endless ways to generate urgency and dissuade the visitors to go on a website hopping spree. However, be reasonable and don’t make a promise you can’t keep because that will just tarnish your reputation. Men are judged by the appearance of their shoes. And the authenticity of your business is judged by the appearance of your website. Shoddy design, clumsy layout, too many rotating image carousels, misspellings, bad grammar, unrecognizable security logos and no trust badges are all signs of a possible fake. Online frauds are the order of the day and visitors are ever more cautious about revealing their personal and credit card information online. Hence, it’s very important that your website oozes trust and authenticity. When you are asking for their credit card information, display a security seal along with it. Use testimonials, customer reviews, media coverage and privacy policies to win the visitor’s trust. Hotels and airlines should ensure their booking processes are secure. Planetamex, a travel agency, didn’t come across as credible due to the use of dated logos and award seals on its website. They ran an A/B test and replaced the homepage banner with the one built around the credibility markers of the AMEX brand. This new version increased their phone call conversions by 48%. The customers will return to your website to update, modify or cancel their bookings or just to look up flight schedule, flight number, hotel location or any of the various pieces of information that make a booking. They will also come back to look up their frequent flier miles or seek information about the loyalty programs. Make sure you display the Login button pretty prominently on the homepage as Delta does above so that the customer doesn’t have to frustratingly hunt for them. Reviews are a great form of social proof in any kind of online business. But if you are into the travel business, their importance can’t be emphasized enough. Here are some thundering facts about reviews in the online travel business. Around 70% of travelers look at 20 reviews in the trip planning phase. As many as 93% of international travelers say their booking decisions are impacted by online reviews. At least 49% of travelers won’t book a hotel without reviews. A word of caution though. Don’t go about faking reviews, because frankly it shows. Invest in a responsive design so that the visitor has a seamless experience across all devices. And if you have different websites for mobile and tablet, make sure they have the same functionality and features. Let’s face it. The competition in online travel and hospitality segment is immense with little distinguishing one website from another. If you want to be noticed amid the crowd, you will have to go an extra mile and offer a unique service and tool no one else is offering (or at least offer it in a cooler way). Kayak offers an ‘explore’ tool that let’s you scan the world map for places you can travel to within a specified budget. Similarly, Bing Travel had a cool ‘price predictor’ tool which would forecast whether fares for a particular flight and location would increase or go down. Alas! Microsoft killed the tool earlier this year, much to the disdain of travelers. If you are just beginning with the optimization process, looking at the maximum drop off page in your analytics would be a good starting point to fix the leaking conversions. Should you have any questions about website optimization, conversions, and A/B testing, please drop in a message in the comment section. Great recommendations and I like the fact that its specific to the travel niche. Provides a good example of how important industry specific tips are. You just provided a pretty solid road-map for those in the travel industry. Thanks Dwayne. Glad you found it useful. Nice thorough work overall, thanks for publishing this. The author picked a bit of an unfortunate example for the secure URL demonstration with Hilton’s site, though. It’s clearly visible (admittedly, to a person working with this stuff on the everyday) the address bar shows a security problem icon on the screenshot. Verifying it manually shows that Hilton is loading mixed content on the HTTPS page, causing the security warning. For the regular person, it doesn’t make a difference what the cause is or how negligible it is. A security faux pas is a security faux pas to them and we should never teach end users try to start self-qualifying security warning icons. For brevity’s sake, I’d publish an edit notification and use another site for that example.. But you make the call, Mohita. Like I said, great work on the rest of it. Hi Leho, Thanks for pointing this out. Much appreciated. It was an oversight on my part and I have taken down the example. And I am glad that you liked the rest of the post! I liked the article has plenty of tips for people looking to optimise in the travel industry. I have found Urgency to be on of the top factors within this particular industry. If you can tie a discount to a limited time or limited number of tickets/rooms it can really give a strong boost to conversions. A word of warning though users will come back to the site after your offer ends so make sure it is time/quantity limited or you will lose trust and customer. That’s right Amrdeep. Time-bound discounts work brilliantly but the customer will get to know if you take them for a ride. There are many websites (I am not going to mention names here), which have a permanent 24-hour running discount countdown. It’s just a cheap tactic to catch eyeballs that will never earn you customer loyalty. Thanks for sharing good ticket booking information with us, love it. keep it up more.